Unless you have been living under a rock, you know that the bell-sleeve trend is major this season. 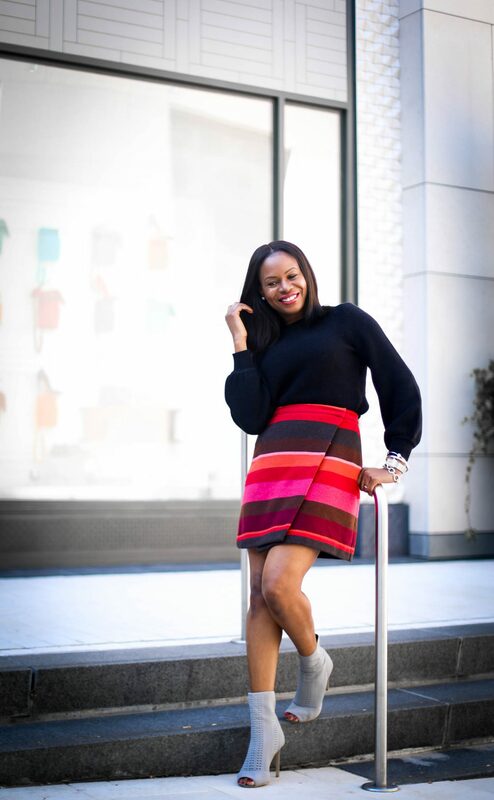 To showcase this cool sweater trend, I partnered with the LOFT to create two outfits featuring the look. 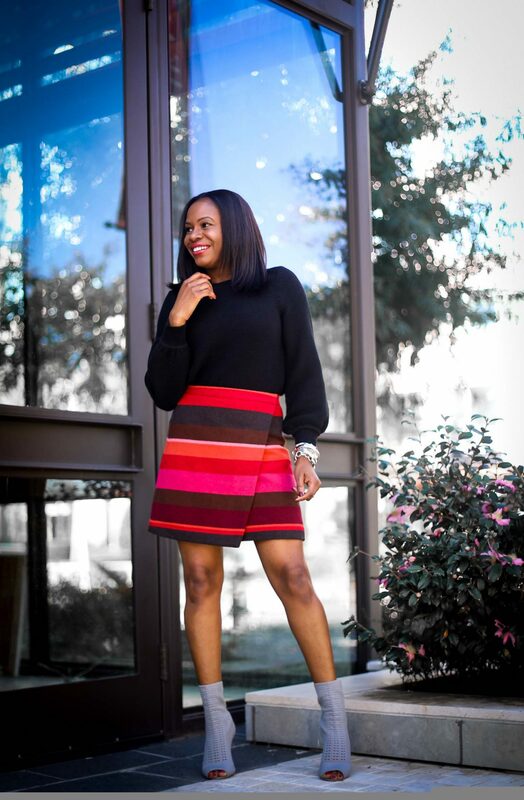 The LOFT has an amazing assortments of sweaters right now that highlight this style of sweater, these two are my favorites, here is how I styled them. I prefer lighter weight knits for work. 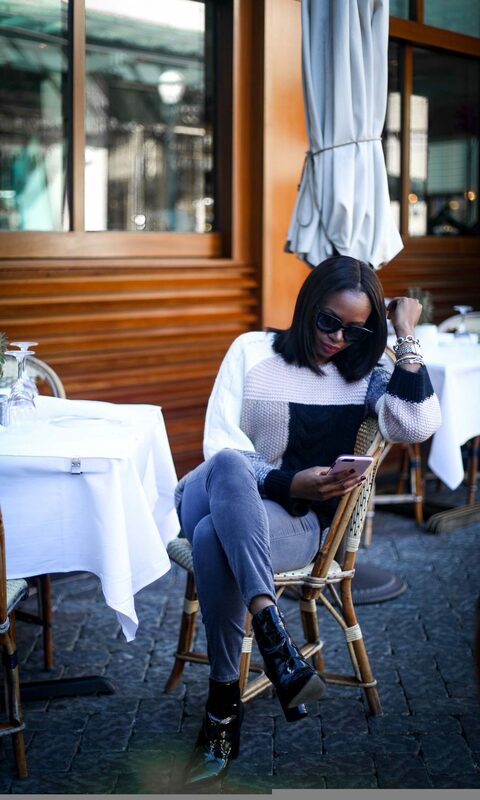 Sweater’s that are not bulky are easier to style, and add a touch of chic to your winter outfit of the day. I also get really hot, therefore thin sweaters will always be my first pick when it comes to workwear. I rather remove layers than wear a sweater that is too thick, and warm for the office. I love this bell-sleeve knit from the LOFT because of the silhouette and the fact that the knit is finer. 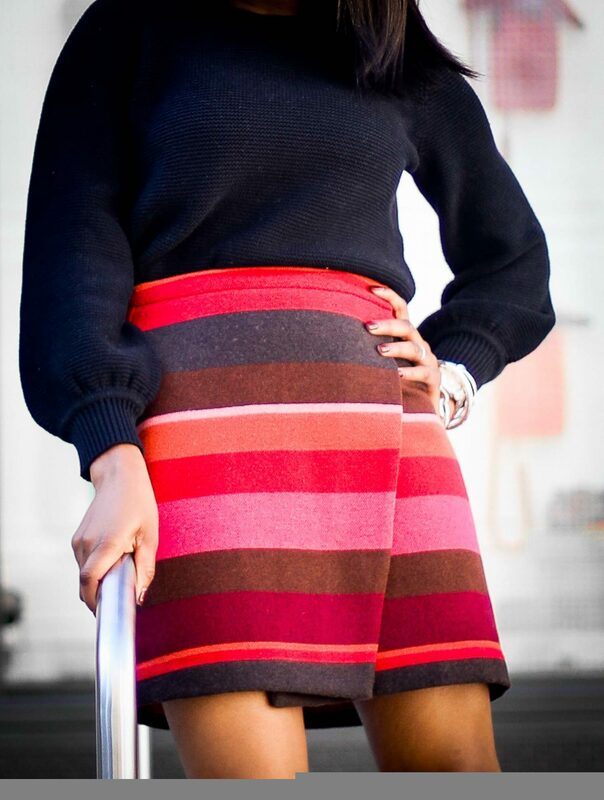 The sweater also pairs perfectly with the skirt, and doesn’t bulk up under the skirt when tucked in. 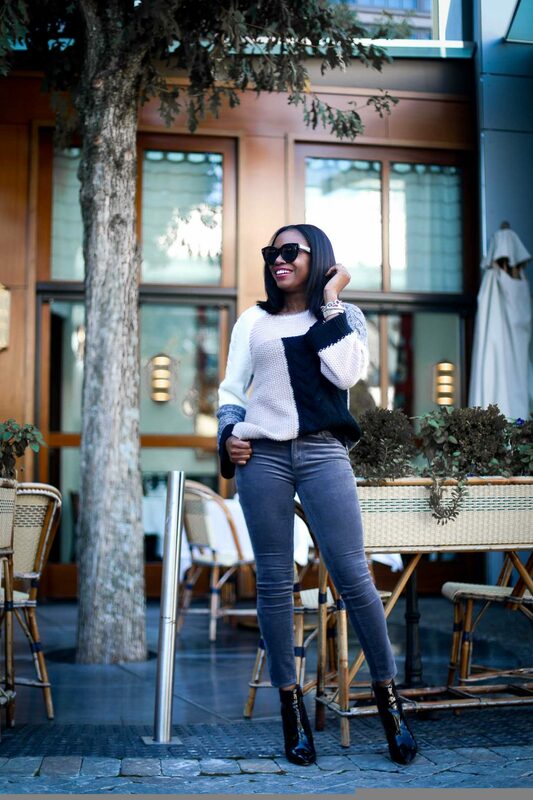 On days I’m not shooting or attending events, I love to opt for sweaters that are cozy and comfortable. 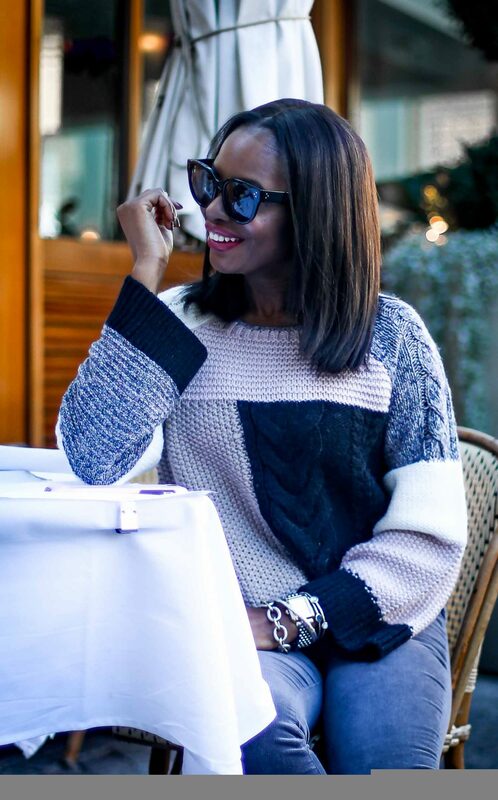 Cable-knit sweaters are my go-to, and make a great option for meeting up with friends. Thick laid-back knits like this fabulous option from the LOFT, layer perfectly with jeans. The bell-sleeve detail, and the colors of this sweater make it a must-have. Color blocking is also an important trend. The various colors on this knit, make it easy to establish the pairing of the sweater and grey corduroys. A comfortable pair of booties, compliment the overall casual-cool vibe of the look, completing this stylish outfit of the day.